I have several friends who live in one of the full service complexes here in Orange County. Since they know I LOVE wine, several months ago they starting inviting me to the monthly tastings. Danny- a sommelier and owner of ilovewine.com puts together a themed tasting list for each month. He does a great job of providing variety and intriguing wines that you can’t find everywhere. We pay a tasting fee, and all wines are available for purchase at a discount. Who can complain about discounted bottles! July’s tasting focused on Italy, the selection was 2 whites and 3 reds of varying price points. I won’t lie, overall the wines were good but nothing overly impressed me. I also knew I was heading to Lompoc and SB that weekend for some extended pinot time. We started out with a 2013 Pinot Grigio by Tiefenbrunner from Alto-Adige. The wine was a sandy color with pear and candied fruit flavors. Not bad but with a $14 price point with the discount seemed a bit pricey for what it was. Next we moved to the 2012 Vermentino by Frescobaldi from Toscana. The straw yellow color was very distinctive as well as the almond taste. For me, it was interesting as I initially couldn’t come to the flavor as I am allergic to almonds and haven’t had them for years. It took my tasting group to help me figure out that the flavor that was on my tongue. The floral and candied fruits notes lead to a interesting minerality that was decently bodied with a lingering finish. After the 2 whites it was time to move to the reds. First was the relatively inexpensive Mihele Chiarlo “Le Orme,” Barbera d’Asti Superior from 2011. An affordable red, Danny had the class sample the wine with first and then add chocolate into the second taste. Always amazing to see the reaction of others to see how the chocolate changed the wine. We saw this as a good red wine to share at sunset when you have friends who don’t know the difference from a 2 buck Chuck and a Ridge Montebello. We moved in to Chianti with a Castellare “Il Poggiale” Chianti Classico Reserva from 2011. It had a stunning garnet color with a nose of bright red cherries, earthy minerals, and leather. On the palate, you can see the different layers and complexity, tannins and full bodied spices. Overall it needs a bit of time to mature, open and evolve. This was likely my favorite of the night. We finished up the tasting with a Masi “Costasera” Amarone della Valpolicella Classico from 2009. Deep ruby red color on the eyes, aromas of dried plums and balasmic. The taste of baked cherry, chocolate and cinnamon stand well with the structured body with delicate tannins and a long finish. Overall the tasting was enjoyable, partially due to the great company. Often we are so used to the typical California or French wines that a Italian tasting is more similar to an off road adventure. 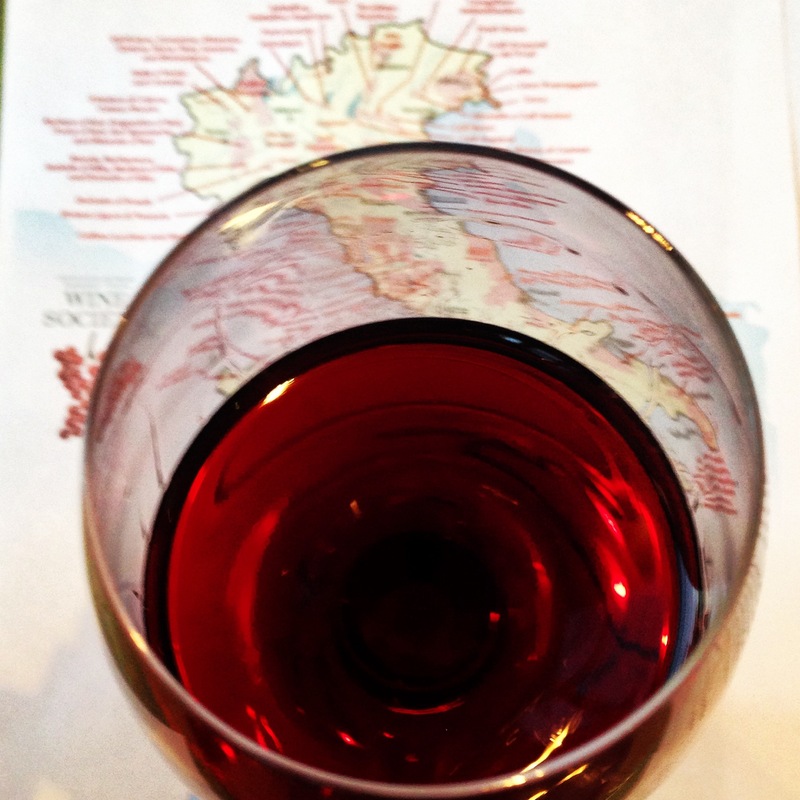 Posted in Wine TastingsTagged Enclave, Italian Wines, Wine Tasting, Wine with FriendsBookmark the permalink.